Welcome .About .become a sponsor .Past Events .sponsorsContact . 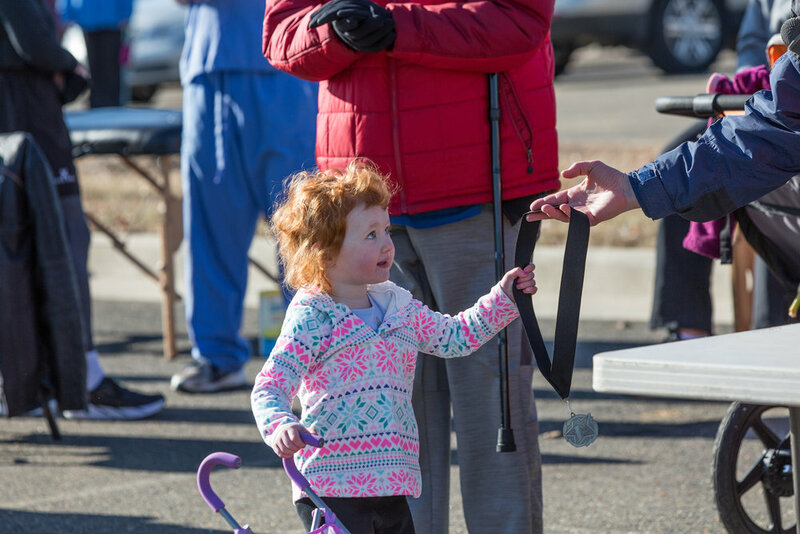 The Freedom 5K Run/Walk supports just a few of the many activities Fredericksburg Council #4034 uses to raise funds and give back to our community for activities like: Coats for Kids, Breakfast with Santa & Toys for Tots, Family Dinners and Pancake Breakfasts whose proceeds go to different local organizations. Council #4034 also supports two State programs: KOVAR - Knights of Virginia Assisting the Intellectually Disabled (Tootsie Roll Drive) and Virginia Knights of Columbus Charities Inc. - VKCCI, a last resort option for those in need in our state. We are grateful to our individual contributors and to our business community partners for their monetary, product donations, donations of time and overall support. Your support is a key in making this happen for our community. With your generosity, we can offer more to so many in our area. Registration for a single runner or walker. We're offering discounted rates for teams of 4 or more members. If you have a team of 4 or more, each member is only $25 — gather your friends and family and be sure to take advantage of this discounted fee. Please be sure to include the Name (First and Last), Gender, and Date of Birth of each team member to ensure we get everyone in the correct age/gender brackets. If you have a team of more than 10, please email us at 5k@kofc4034.org or message us. ** If your team consists of participants 7 years or younger, please do not count them (they're free!) but please be sure to include their names on the team registration form to ensure they are included in the correct race bracket. Please be sure to fill out a waiver if you're participating. On-site waivers will be available upon check-in. Shirts will be available for sale at the event. Please arrive early if possible as there is a limited quantity. We respect your privacy. Your information will only be used to contact you with updates regarding the Freedom 5k events. Thank you for your support!